Parents, have you been stressed about your student not being prepared for college and the professional world? Students have you been educated on the four pathways you can pursue? Do you know your college and career options in regards to college admissions and the New Collar and Gig Economy. If not, our College-Career Readiness Boot Camp is just for you! 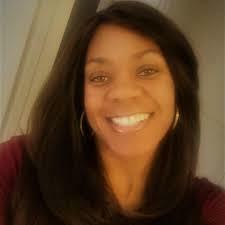 Professor Artina McIntosh and special guest are going to educate you and your students in regards to College and Career Readiness, the changes in higher education and how companies are now conducting their hiring practices. - Do you know the State of California is implementing new college admissions and financial aid requirements every year? Learn what’s changed this year! - Do you know why 65% of students drop out or fail their first year in college and why parents have no idea? - What is a Gig Economy? Find out what it is and how to get your child ready for this new career. - Does your child know what college to attend or career to pursue? - Do you know why students with 4.0 GPA’s and perfect ACT scores are not being accepted into some of the best California colleges? - Do you know why high school counselors are frustrated with colleges in California and what does that mean for you and your student? - Find out ways to fund your child's college career and not pay taxes? - Find out strategies to alleviate student loan debt! - What is a Gig Economy? Find out what it is and how to get ready for this new career? - Are you aware of all of your career options? - Do you know what college to attend or career to pursue? - Are you prepared for the new digital badge economy? - Are you educated on the four pathways to success you can pursue? 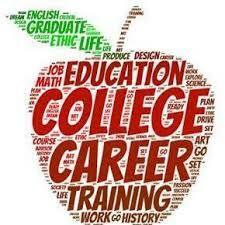 - Find out why employers are no longer requiring college degrees and how to prepare yourself? - Do you know all of the new types of careers available? Although Artina has a love for business she has a passion for education. She earned a Master’s degree in Business Administration with concentrations of marketing, management and finance; and is the lead Professor of Business/Entrepreneurship at Los Angeles Trade Tech College. In addition she sits on the LACCD Project MATCH Committee actively mentoring future College Professors. Realizing the impact of technology on education and economic growth of communities, she became a Microsoft Innovative Educational Expert. Apart from her entrepreneurial and education pursuits, Ms. McIntosh involves herself in various community and civic endeavors. 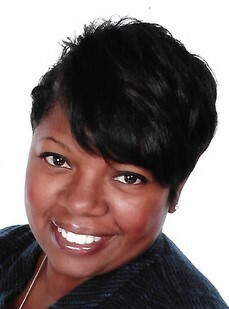 She assists aspiring business owners and current business owners with the growth and advancement of their business. She is a member of SCORE and conductus seminars, workshops and trainings for SCORE, Women’s Business Centers and various business and professional organizations. Beyond assisting adults, she also worked with Councilmen Price of LA’s 9th District in facilitating his Youth Innovative Entrepreneurial Leadership Development program and is a recurring judge for the “Future Business Leaders of America” youth business competition. Shawntrice Johnson retired from the Los Angeles Police Department after 19 years of service as a Police Officer at the age of 43. She believes that when you pursue your passion in life that’s when you become fulfilled. After becoming an elected official, volunteering her time with several organizations and being a serial entrepreneur she found her calling in the Financial Services Industry. She obtained her Series 6, 63 and 26 Investment Licenses to help communities build wealth. Shawntrice passionately shares her knowledge and expertise to educate families on understating how money works. If you weren't convinced to attend by reading the above then watch these videos! Parents Get Involved and attend - I hope to see you there!